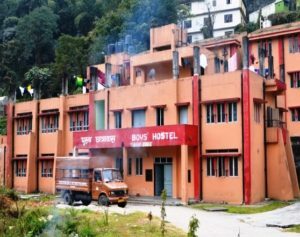 Keeping in view the residential nature of education in CAU, Imphal, all the students of CAEPHT, Gangtok are required to stay in hostels. For this purpose the college has established two hostels for boys and one for girls with accommodation capacities of 120 Boys and 62 girls. The rooms are of two to four bed capacities. All the three hostels are provided with necessary infrastructure in terms of modern furniture, mess and dining room, gymnasium, indoor games, recreation and newspapers/magazines facilities. Extension of both boys & girls hostel has been sanctioned in XII Plan and the construction work is planned to be initiated in 2016. There are two ho stels with accommodation capacities of 130 Boys’ in the college. The rooms are of two to three bed capacities. All the two hostels are provided with necessary infrastructure in terms of modern furniture, mess and dining room, gymnasium, indoor games, recreation and newspapers/magazines facilities. The senior faculty member (Associate Professor) works as Warden of Boys hostel. The mess of each hostel is equipped with modern gadgets, utensils and furniture besides refrigerators, water coolers and LPG high pressure cooking gas connections. 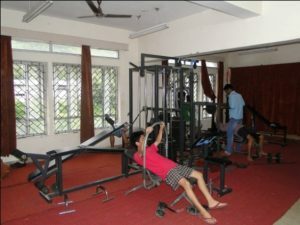 The gymnasium for boys has been established in boys’ hostel. 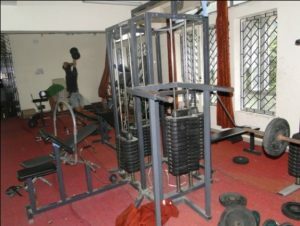 The facilities include multi-gym, cycle jogger etc.